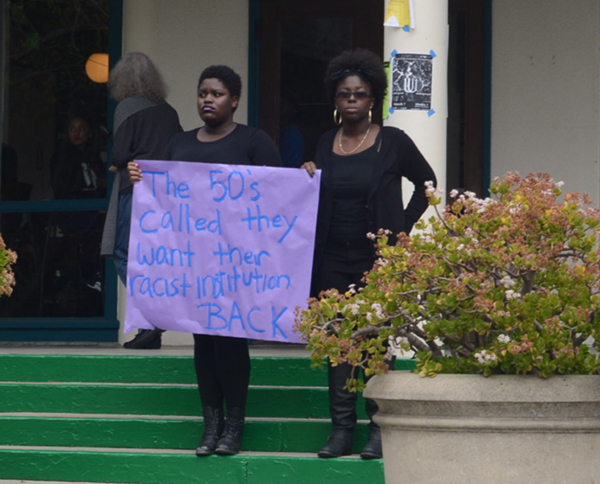 Addendum: This list of demands was compiled in response to the murderous, racist, anonymous confession posted on the Mills Confessions Facebook page that targeted Black women on the Mills College campus. This list was finalized on March 4, 2014. 1. An active role in the reformation of the general education requirements/curriculum. Specifically, the replacement of the multicultural requirement with a requirement that addresses racism in the United States. This would be a required course for all students which encompasses the curricula covered in the “Introduction to Ethnic Studies” and the “Race and Ethnic Relations in the United States” classes. recruitment, retention, and matriculation of Black students, formulating solutions to those issues, implementation of those solutions, and ongoing evaluation of those solutions. This task force should include Black student representation and input on appointments to the committee. 3. 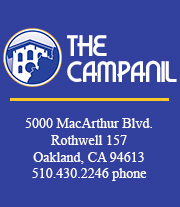 An investigation and reformation of racist policies that police the presence of Black people on the Mills College campus, including those set forth by the Department of Public Safety and the Office of Student Activities. experience low rates of persistence due in part to difficulty financing their Mills College education. 5. A shift away from lumping students of color together in one group and a recognition of the unique issues that students of each racial group experience, including but not limited to publishing an accurate racial breakdown of the student population as opposed to the “student of color” percentage published on the College’s website. 6. A marked increase in tenure ­track faculty of color, such that each academic department is home to at least one permanent faculty member of color. 8. A revision of the Social Justice mission statement that includes mechanisms to hold the institution accountable for addressing student/faculty/staff behavior that is incongruent with the mission statement. 9. Comprehensive, social justice based racial sensitivity training for faculty and staff who have sustained contact/interaction with students. *We demand immediate implementation of demands 2 and 7. We expect that the creation of the Task Force will take place by May 7, 2014, the last day of instruction for the Spring 2014 semester. This list of demands has also been posted in The Campanil‘s print issue coming out on Tuesday, March 11.